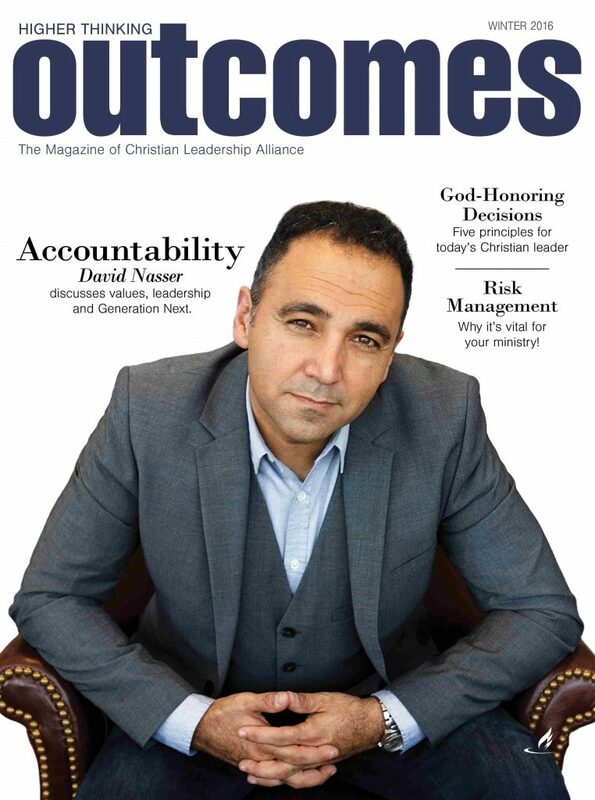 The theme for Winter 2016 is Accountability. Each day, approximately 10,000 baby boomers turn 65. Many are in leadership roles, including ministry leadership, and they must transfer that leadership to the next generation. I've seen healthy transitions and some badly managed handoffs. So, how can a leader know when it's time to release the reins? Changing an organization's culture is a long-term goal. It is a marathon, not a sprint. More than two years ago, I was blessed to be promoted to lead a team. What I found was there was a lack of accountability, no established common thread of faith and unclear expectations for staff performance. I set out to change a culture of fear and intimidation into a culture that embraced servant leadership. Mistake 1: Underestimating the importance of the board chair. It's the first step in accountability. I spent most of my career serving in the secular marketplace. The ultimate goal of the companies I worked for was pretty much the same: enhancing shareholder wealth by providing a return to investors. Would a given decision lead to increased sales that eventually covered any increased costs? Payback was front and center in all decisions. Big gifts are game-changers. Most nonprofit leaders agree that big gifts can open doors to opportunities they would not have had any other way. Yet far too few achieve much real success in major giving. All too often, they struggle to meet goals, rotating through staff and repeating the same patterns year after year, like a hamster spinning on a wheel. It's definitely worth the risk. Last year I read several blogs and articles on "how to do more with less." I caught myself reacting internally to that verbiage. After several weeks it dawned on me that I was reacting to a scarcity mindset. In short, a limited worldview of ministry leaders that implies, "There is a finite supply of resources, so we need to allocate them ever more efficiently in a risk-averse manner." Outcomes matter. In past decades, many organizations were more focused on organizational culture and inputs rather than outcomes. These days, however, more and more organizations are focusing on outcomes, performance, transparency and accountability.